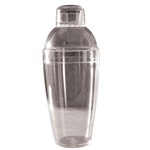 We are a leading restaurant supply distributor of bar shakers. 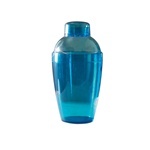 Choose from stainless steel bar shakers and colored cocktail shakers. These make mixing drinks fast and easy and are very easy to wash afterwards. Tablecraft Stainless Steel Shaker Bar - 16 Oz. Tablecraft Stainless Steel Shaker Bar- 28 Oz. Tablecraft Stainless Steel Shaker - 16 Oz. Update International Cocktail Shakers - 26 Oz. EMI Yoshi Plastic Cocktail Shakers Clear 7 Oz. 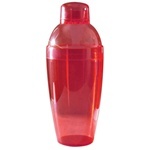 EMI Yoshi Plastic Cocktail Shaker Red - 7 Oz. EMI Yoshi Plastic Cocktail Shakers Blue - 7 Oz. 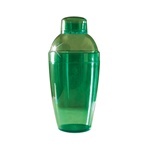 EMI Yoshi Plastic Cocktail Shakers Green - 7 Oz. EMI Yoshi Plastic Cocktail Shakers Yellow - 7 Oz. EMI Yoshi Plastic Cocktail Shakers Clear - 10 Oz. EMI Yoshi Plastic Cocktail Shakers Red - 10 Oz. EMI Yoshi Plastic Cocktail Shakers Blue - 10 Oz. 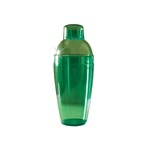 EMI Yoshi Plastic Cocktail Shakers Green - 10 Oz. EMI Yoshi Plastic Cocktail Shakers Yellow - 10 Oz. EMI Yoshi Plastic Cocktail Shakers Clear - 14 Oz. 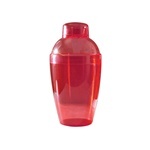 EMI Yoshi Plastic Cocktail Shakers Red - 14 Oz. 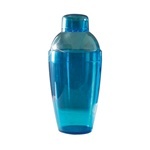 EMI Yoshi Plastic Cocktail Shakers Blue - 14 Oz. 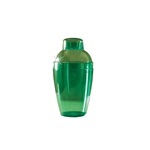 EMI Yoshi Plastic Cocktail Shakers Green - 14 Oz. 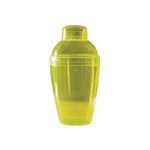 EMI Yoshi Plastic Cocktail Shakers Yellow - 14 Oz. 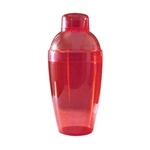 EMI Yoshi Plastic Cocktail Shaker Assorted Colors Red - 14 Oz. 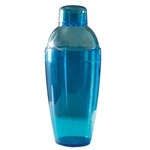 EMI Yoshi Plastic Cocktail Shaker Assorted Colors Blue - 14 Oz. 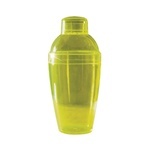 EMI Yoshi Plastic Cocktail Shaker Assorted Colors Green - 14 Oz. 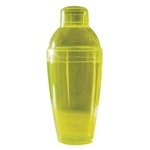 EMI Yoshi Plastic Cocktail Shaker Assorted Colors Yellow - 14 Oz. 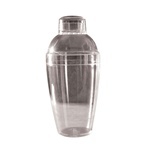 Shaker Deluxe Cocktail - 28 Oz. Cocktail Shaker Stainless Steel - 28 Oz. Bar Shaker Three Piece - 28 Oz. 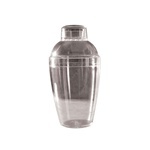 Our liquor supply shakers are top of the line for bars and restaurants and made from quality materials. They are tough and resistant to breaking from drops.